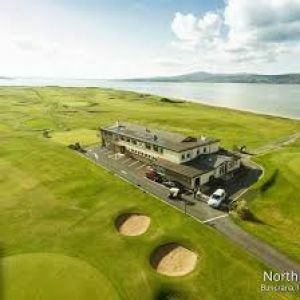 The North West Golf Club is a fine links course located between the coastline of Lough Swilly and the picturesque Mouldy Mountains. Designed by Thompson at 6,314 metres with a par-70 and a standard scratch to match. 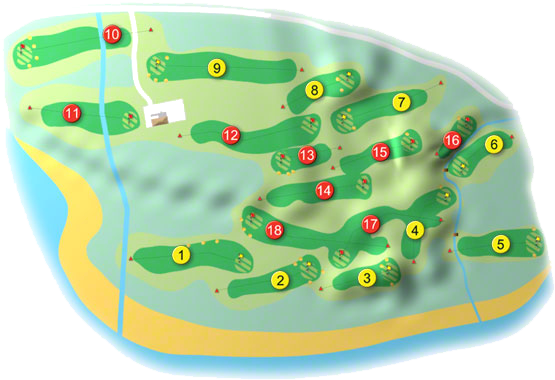 The holes are varied, with many sandy knolls and undulating lies, but a generally flat. 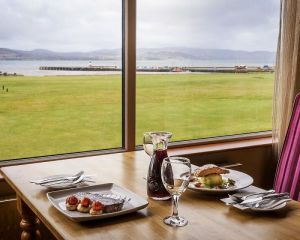 The club boasts a modern, newly refurbished clubhouse, with bar and excellent catering with wonderful views of the "Lake of Shadows" to the devil's backbone of the Killalla Hills. 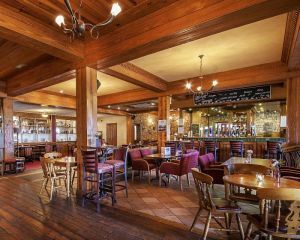 It has a proud history in Irish golf as being one of the founder members of the GUI and producing winners of the Irish Open Champions and International Captain of the Irish Amateur Team. 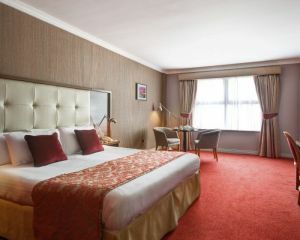 The visitor is assured of a friendly welcome at North West and a golf experience you will never forget. North West Golf Club won the Ulster Final of the Barton Shield in 2015 when they beat Rosapenna Golf Club in a play-off in the Quarter Final, followed by Dunmurry Golf Club by 5-holes in the Semi-Final and accounted for Warrenpoint Golf Club in the decider by 4-holes to book their place in the All-Ireland Finals at Carton House O’Meara Course on Wednesday 16th September. 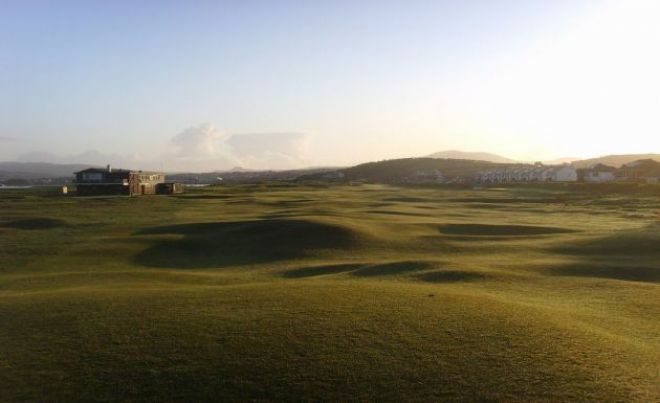 They were drawn against Connaught Champions Galway Golf Club in the All-Ireland Semi-Final. They were led out by Kealan Quigg with Ryan Gribben who lost their match against Joe Lyons with Stephen Brady in the second match Garrett Mallon with Kyle McCarron had a 1-hole win over Ronan Mullarney with Colm Hughes, so it was not to be for the men from Donegal. Brian McElhinney represented Ireland as a Senior International from 2003 to 2005 playing 26-times won 14-matches halved six and lost 6-matches accumulating 34-points. He represented Ireland at international Youths level from 2002 to 2003 playing 9-matches, won 5-matches halved one and lost 3-matches accumulating 11-points. He represented Ireland at Irish Boys level in 2000 playing 4-times won 0-matches and lost 4-matches accumulating 0-points. He represented Ulster in the Senior Interprovincial’s from 2003 to 2004 playing 6-times won 4-matches and lost 2-matches accumulating 8-points. He represented Ulster at the Boys Interprovincial Championships in 1999 playing 5-times won 0-matches halved two and lost 3-matches accumulating 2-points. He was selected for the World Junior Championship at Hyogo, Japan from June 15th to the 18th 2001. He was selected on the Boys' Home International team at Portmarnock G. C. on 9th to 11th September 2000. Brian McElhinney won the Willie Gill Order of Merit Award in 2004 having finished with 115 points tied with Mark Campbell of Stackstown but won the coveted award by virtue of winning the Irish Close at Donegal Golf Club in June. There was a little bit of poetic justice with Brian receiving the award as he finished tied with Noel Fox of Portmarnock in 2003 with the same points but Noel was award it by virtue of winning the Irish Amateur Open Championship at The Royal Dublin. Brian is a member of the Walker Cup squad and won the European Individual Championship in 2003. This famous club has the distinction and honour of being one of the group of nine clubs of the GUI, in November, 1891. The preliminary meeting was held in the Guildhall Derry "For the purpose of starting a golf club in the neighbourhood of Derry". 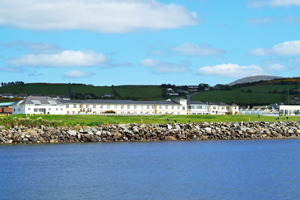 The meeting was informed of inquiries made by the Lough Swilly Hotel Company about use of land but the tenants had refused to sign agreements and "asked for an increase in rent" The meeting was adjourned for a fortnight. I got a new set of golf clubs for my wife, it was the best swap I ever got".